As an entrepreneur, your time is extremely valuable and there’s never enough of it. Often times you are the only employee in your company and if something is going to get done, you do it. This leads to founders valuing their time at an extreme premium. In one poll, the average startup founder valued their time at over $100 an hour. So, you better make the most of that time. Here are a few ways to optimize your precious hours. As a self-employed person, it can be difficult to stay on track with new shipments of product if you don’t have deadlines. To help yourself stay accountable, use task management software like Asana or stay motivated by meeting regularly with a business partner to review your progress. This is an oldie but a goodie; taking one day to shun the world and catch up on work is important to staying productive. Plan ahead for no-meeting day and fill every hour with a task you’ve been putting off, that way you can maximize the day and stay productive. Carry an ideas notebook with you at all times and use it. One of the biggest threats to productivity is distraction, and great ideas, important as they are, still count as distractions. Be sure to review your ideas every night and work them into your schedule for the next day. Studies show that multi-tasking can actually decrease the amount of work you get done. Instead, use a tactic called “chunking.” Chunking is the practice of setting aside chunks of time to work on tasks, one at a time. This allows you to get many things done without trying to do them all at the same time. While keeping a tight schedule is good in the long run, sometimes being too regimented can actually decrease your productivity. Time management experts recommend throwing a curve ball into your schedule every week or so to keep things fresh and avoid falling into lethargy. Harvard Professor Robert Pozen conducted a study and found that exercise makes you more energized and improves your mind. The workout doesn’t have to be long, it only takes about twenty minutes to boost your heart rate and get the benefits from working out. Medical Daily reports that watching furry critters makes you more caring and motivated. The next time your friend sends you a cat video, don’t feel guilty taking a break to watch it. Productivity can be the difference between success and failure, especially in the long run. As your business grows and work piles on, it’s important to keep getting things done faster than ever. Losing your step is a real threat in the entrepreneurial world and it’s important to stay ahead of the game. 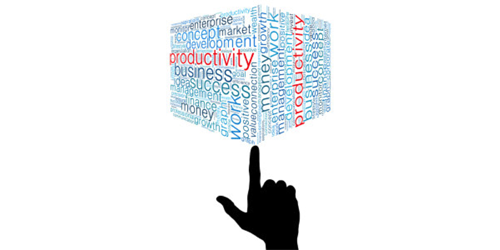 Do you have more productivity tips? Share with us in the comments. Josh is the co-founder of fitkit a health and wellness site dedicated to helping hard working people optimize their health.